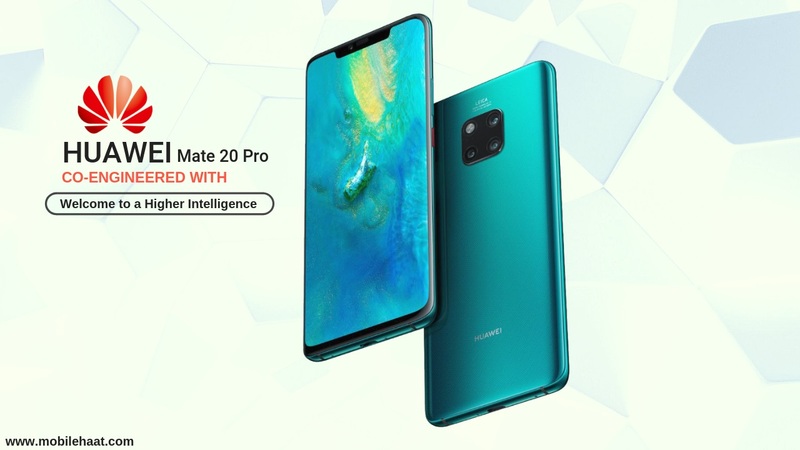 Huawei Mate 20 Pro has the world's most powerful smart smartphone chipset and is the first 4.5G smartphone to be launched. So you can watch the 4K video without any buffering, download 2GB of video in 10 seconds and even download 375MB game updates in 2.1 seconds. If you need a long-distance mobile phone, the powerful Huawei Mate 20 Pro is perfect. It can last up to 2 days without charging, thanks to the 4200mAH battery and supports wireless reverse charging so it can be used as a wireless charger for other devices. You can also get incredible cameras on the Huawei Mate 20 Pro. The ultra-wide-angle Leica 3-in-1 camera brings a greater perspective to your photography, making it ideal for taking panoramic photos and grouping photos. It is equipped with AI Cinema Mode and intelligent AF tracking to optimize your footage and capture moving objects without losing focus. Network range: 2G, 3G, 4G (LTE). Operating system: Android Pie v9.0 (EMUI 9.0). Processor: Octa-core (2.6 GHz Cortex-A76 & 1.92 GHz Cortex-A76 & 1.8 GHz Cortex-A55). Graphics Processing Union (GPU): Mali-G76 MP10. Body: 157.8 x 72.3 x 8.6 millimeter. Weight: 189 grams (glass back & aluminum metal frame). SIM card type: Single SIM Nano-SIM or Hybrid Dual SIM (Nano-SIM, dual stand-by). Sensor: In-Screen Fingerprint, Gravity, Ambient Light, Proximity, Gyroscope, Compass, Hall, Laser, Barometer, Infrared, Color Temperature. Display resolution: 2K+ 1440 x 3120 pixels. Display protection: 119.5:9 ratio Full-View AMOLED Touchscreen with Corning Gorilla Glass protection. Color: Emerald Green, Midnight Blue, Twilight, Pink Gold, Black. Camera resolution (back): Leica Triple Camera 40+20+8 megapixels. Camera factor (back): 40 MP: f/1.8, 27mm wide-angle lens, 1/1.7", PDAF/Laser autofocus.20 MP: f/2.2, 16mm ultrawide lens, 1/2.7", PDAF/Laser autofocus8 MP: f/2.4, 80mm telephoto lens, 1/4", 5x optical zoom, OIS, PDAF/Laser autofocus. Leica optics, dual-LED flash, HDR, panorama mode, AIS (AI Image Stabilization). Camera resolution (front): 24 Megapixel (f/2.0 aperture, 3D depth sensing, 26mm wide-angle lens, HDR, Full HD video rec.). Memory card slot: NM (Nano-Memory), up to 256GB (uses SIM 2 slot). Battery type and performance: Lithium-polymer 4200 mAh (non-removable) - Fast battery charging 40W Huawei Supercharge (70% in 30 min) - Qi wireless fast charging 15W - Reverse wireless charging. Video recording: Ultra HD 4K (2160p), gyro-EIS. MP3, MP4, NFC, Loudspeaker, Infrared. WLAN: Yes, dual-band, DLNA, Wi-Fi Direct, hotspot. USB: 3.1, Type-C 1.0 reversible connector, USB-on-the-go (OTG) - Type-C to 3.5 mm headphone jack adapter (No 3.5mm jack). IP68 dust/water resistant up to 2m for 30 mins.